Rings For Your Ear Too! If you’ve shopped here at Tungsten World before, then you’ve probably seen that most of our products were rings that you wear on your finger (especially for marriage). While all of our rings are made from high quality materials, our products for men greatly outnumbered our products for women. We’ve decided to even out the playing field with new accessories for women, including our newest line of earrings! Don’t worry about the heaviness of tungsten weighing your ear lobes down. All of our earrings are made with stainless steel and come in many different designs and finishes. 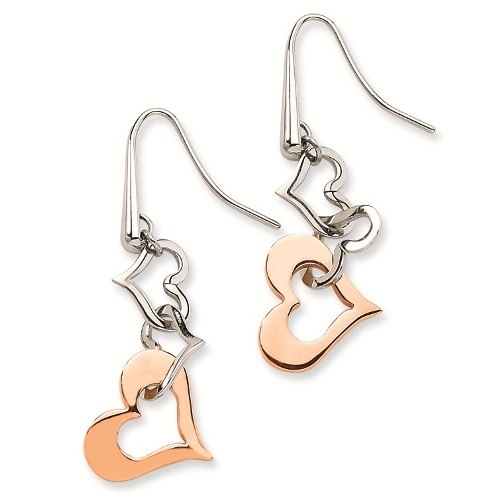 Our Dazzle earrings have an interlocking heart shape design with a rose gold finish. 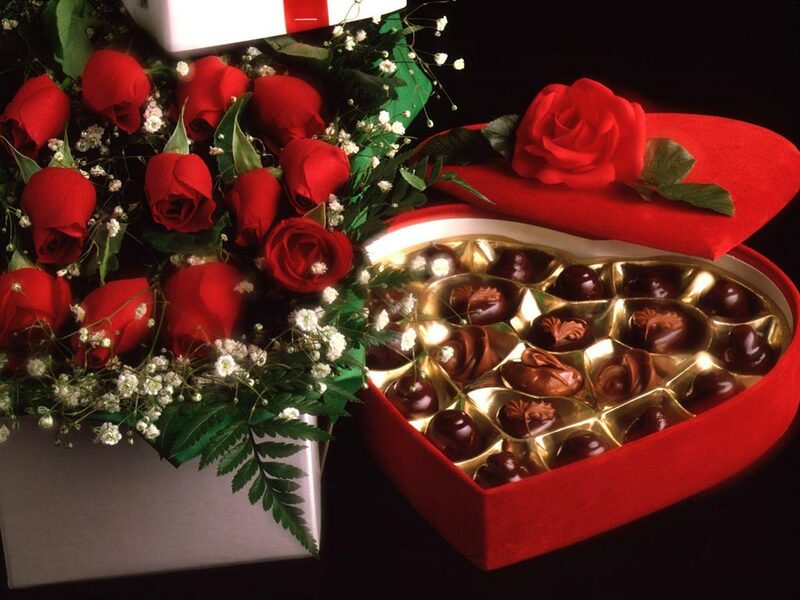 At $59, it makes a great present with some money left to spare for other romantic gifts! Before these megastores release their Memorial Day coupons, deal hunters can get a head start on saving with discounted gift cards from DontPayFull.com , Coupon website, is a marketplace where consumers can buy discount gift cards online from hundreds of retailers and restaurants like Walmart , Sears, Newegg.com etc. With prices and discounts constantly changing, shoppers will find a range of gift cards from all of the aforementioned brands, and they can redeem them during Memorial Day sales to make the most of their summer shopping budget. 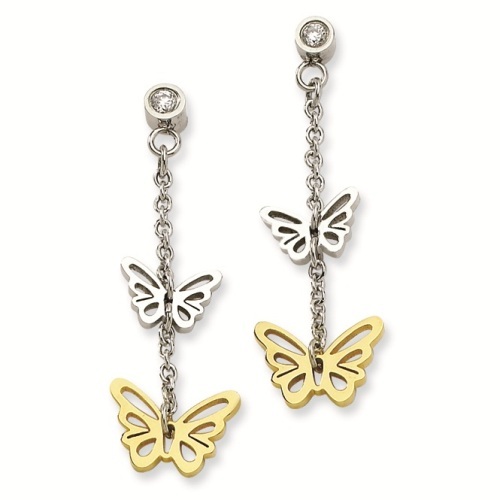 One of our more unique earrings comes in the form of KISS: dangling Butterfly earrings with a gold plated finish and solitaire cubic zirconium. 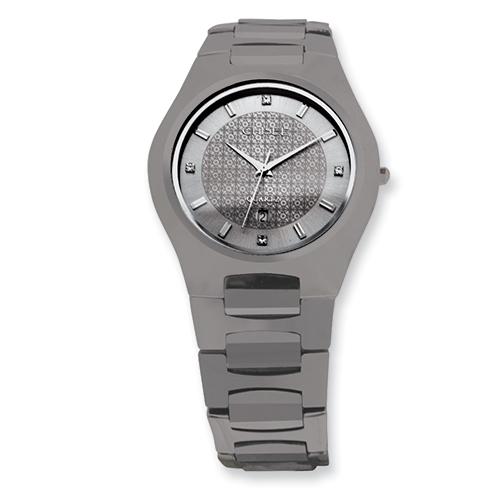 Not only does it look amazing, but the price is incredibly affordable at $39. 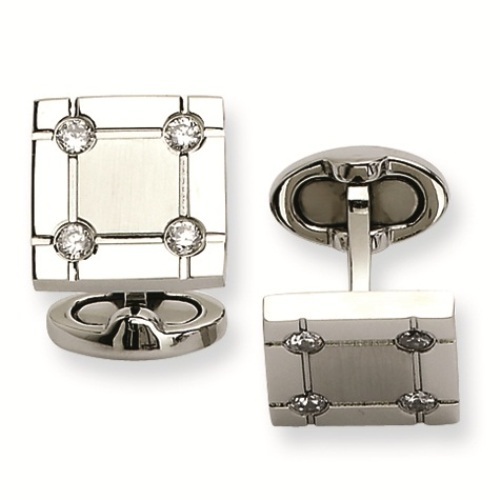 You can view the complete stainless steel earrings collection here, as well as other high quality jewelry accessories, such as bracelets and pendants. It’s Wednesday, but more importantly, Christmas is less than a week away! 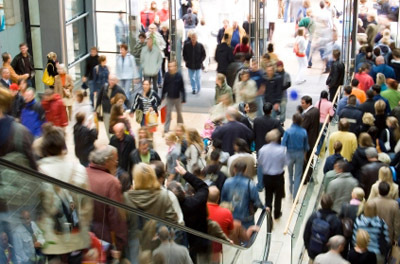 Did you finish all of your holiday shopping on Black Friday this year? 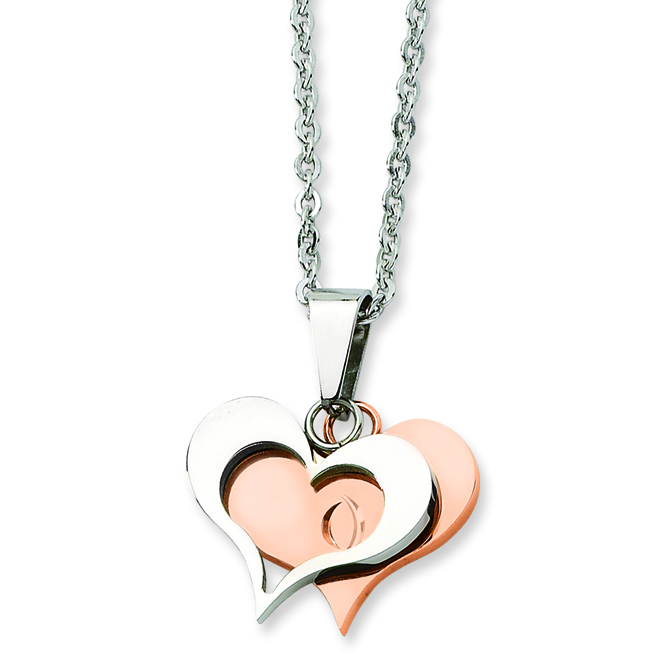 Or are you like the rest of us and scrambling for that last minute perfect Christmas gift? 5 glorious days of Christmas! Each day this week, we’ll be giving a special discount on a featured product! All of our jewelry are perfect for stocking stuffing, so be sure to order yours soon to receive free shipping as well! One day only! Check back tomorrow for the next daily deal special.